Everyone deserves to make their dreams a reality. What dreams of yours have you deferred for too long? It's all too common for our passions to fall by the wayside amongst the daily grind of ordinary living. Are you ready to take one step today towards answering your heart's calling and fulfilling your destiny? 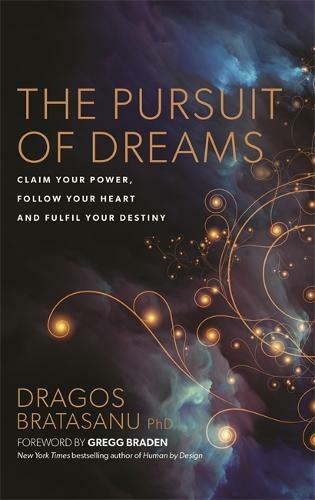 In The Pursuit of Dreams, Dragos Bratasanu PhD shares the deeply personal experience of how he accomplished his dreams - including travelling to the North and South Poles without any money or connections - to show how you can reclaim your power and take charge of your life by listening to the voice of Truth. Travel the world with Dragos, go behind the scenes in Silicon Valley and NASA headquarters and meet an eclectic cast of characters, including a Buddhist teacher, a Freemason, an Army veteran, a monk from Transylvania, an innovator at Google and a NASA legend. Their fascinating conversations connect science, spirituality and entrepreneurship to inspire and empower you to realize your dreams.